Are you looking for a siding contractor in Wilmington DE? Quality and trust come with experience and our company, a licensed and insured siding contractor, has been serving residential customers throughout Delaware for over 20 years. By focusing on safety, quality and customer service; our Wilmington siding installers have raised the bar when it comes to having your siding repaired or replaced. Why Choose Our Siding Specialists in 19804? We Only Use High Quality Siding Materials – No Cheap Knock-offs. Expert Siding Installers Are Ready To Help You! Setup A Free Quote Today! Our track record for quality workmanship and superior customer service is well-known throughout the areas we serve in Delaware. From your initial free estimate to completion of your project, we ensure every aspect of the job is completed to your satisfaction. Vinyl is the most popular type of home siding material. Vinyl siding is attractive to house owners due to its combination of resilience, variety of color choices, and it’s cost. It’s versatile and some designs can be textured to appear like wood without having to deal with problems like decay or termite damage. It is also easier to clean than other kinds of house siding and can be quickly cleaned up with a pressure washer. Vinyl siding installation is one of the most cost effective choices for upgrading your home’s look. Metal siding, usually made of either aluminum or steel, can give your house a contemporary look. Aluminum siding is popular here in Delaware and other coastal areas due to it’s protection against salted air. In contrast, steel is vulnerable to rust and deterioration but does well against hail storm damage. One significant advantage of metal siding is that it won’t deteriorate like other kinds of home siding. Usually considered low maintenance, it’s color will not fade with time unlike wood, vinyl and other kinds of siding. It is not susceptible to insects that can burrow into other kinds ofsiding. Wood is a fantastic choice for your home and comes in a variety of wood types such as pine, cedar, spruce, fir and redwood. They are also offered in a variety of designs such as shakes, shingles, board and batten, engineered wood or bevel aka clapboard. One the most popular types, wood has many advantages that other types do not. Wood siding is energy effective, can quickly be replaced, and is considered the most eco-friendly choice available. Fiber cement is another favorite option and as the name suggests it is composed of cement, wood fibers, and sand. It is considered to be a budget friendly, low maintenance kind of siding that requires less maintenance and normally has fewer issues with bugs. Fiber cement has the feel and appearance of natural wood siding but it is not susceptible to decay. Delaware Roofing and Siding Contractors offers it in a variety of colors and designs such as stone or brick textures. Brick is a popular option not just due to the fact that it offers an elegant and aesthetically pleasing look but because of its long lifespan. Browse your neighborhood and you will certainly see homes in good condition with brick siding that was installed 50 years earlier. Other advantages include its fire resistance, termites, and harsh weather conditions. These elements are the reasons houses with brick exteriors have lower house insurance coverage rates compared to others that makes this type a wise investment than can be recouped much faster. How Much Does Siding Installation Cost in Wilmington Delaware? The cost of getting siding installed in Wilmington is going to vary from property to property. The best way to find out the average cost to replace your siding is to schedule a free consulation with one of our siding pros. After making an appointment, a member of our team will meet with you at your home to assess your project, provide insight, make suggestions and answer any questions you might have. They will also offer you a free estimate on any work you want done. We recognize that getting new clients is based on the quality of workmanship we have delivered, which is why we always put our best foot forward. Whether you need a siding repaired or replaced, we will provide you with the services you require at a rate that is within your budget. If this is your first time dealing with a siding issue or home improvement project, you probably have some questions that you would like to ask. Call us now to schedule a free consultation with an experienced siding specialist who can walk you through the entire process and answer any questions you might have. Wilmington is a city in New Castle County, Delaware with a total population of approximately 16,286. Wilmington, which uses the 302 area code, is located at 39.71983, -75.6841 at an elevation of 100 feet. There are over 6,203 households and on average there are 2.3 people in each household with a median age of 31.6. The average income in the area is $27,162 and the average home value is $138,100. 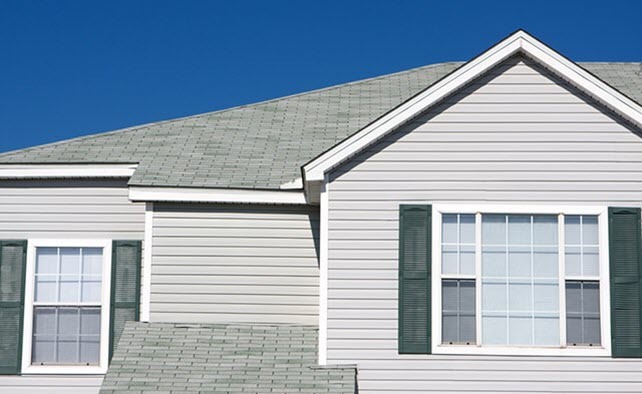 In addition to being a Delaware siding installation specialist, we also offer homeowners in Wilmington other services such as roof, window, and gutter installation.